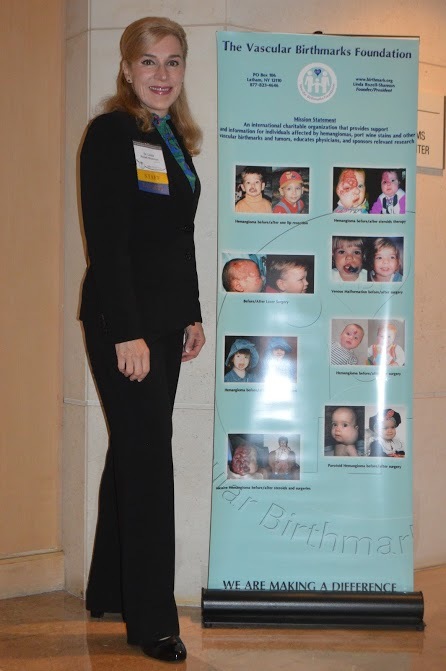 Irvine, California Saturday, October 7th The Vascular Birthmarks Foundation, along with Dr. J. Stuart Nelson and the Beckman Laser Institute, hosted the 2017 Annual VBF Conference and Clinics in Irvine, California on Saturday, October 7th. The Conference was one of our largest to date, serving nearly 100 patients and close to 300 individuals with presentations on the latest in medical research, individual clinic appointments with teams of leading medical experts, dental and orthodontic exams, laser treatments, and special sessions that included navigating insurance issues, make-up sessions, and family support groups. The conference kicked off on a high note with VBF Founder & President Dr. Linda Rozell-Shannon’s presentation of the 2017 VBF Awards. Dr. David Darrow, DDS, MD, FAAP was honored as Physician of the Year. Dr. Darrow is founder and Co-Director of the EVMS Center for Hemangiomas and Vascular Birthmarks and professor of Otolaryngology-Head & Neck Surgery at Eastern Virginia Medical School in Norfolk, Virginia. Dr. Darrow brings a vital service to the VBF Conferences-dental exams for patients with a vascular anomaly that affects the oral cavity, and VBF remains grateful for his unwavering service to our families. The 2017 Service Award recipient was Vaiola Jalomo, a member of the admitting team at Beckman Laser Institute. She was recognized for championing patient’s rights, and for her dedication and tireless energy in support of families affected by a vascular birthmark. Viola was unable to attend due to work training, proving her even more deserving of the service award. The 2017 Achievement Award was presented to Dr. Anton Hasso, MD, Chief of Neuroradiology, Professor of Radiological Services, and Director of Neuroimaging Research at the University of California, Irvine School of Medicine. He was honored in recognition of his outstanding research contributions to the diagnosis and treatment of vascular anomalies. After the morning kick-off, families attended faculty lectures on the latest in the field of vascular anomalies, while children enjoyed some playtime in the child care center. Lectures were given by VBF’s team of leading medical experts from across the globe on the latest in cutting edge research and treatment methods designed for those living with vascular anomalies. 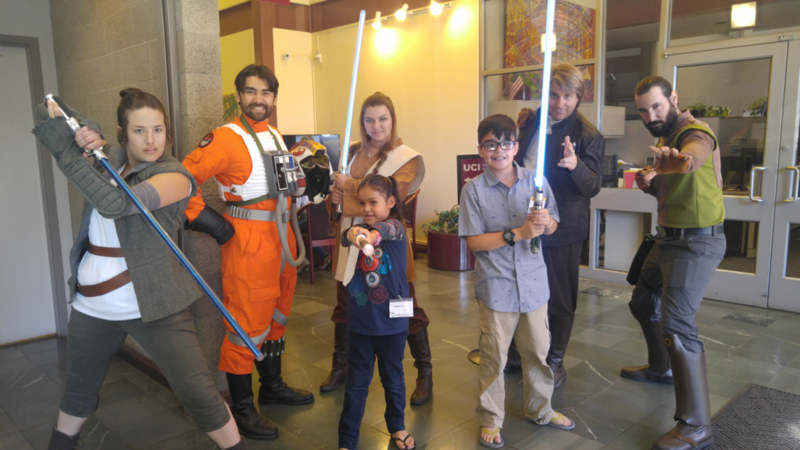 After the lectures, clinical patients were met by the cast of Disney’s Star Wars at the Beckman Laser Institute, where children and adults got to play with light sabers while receiving invaluable information from teams of the leading experts in the field. Patients attended individual clinic and special sessions appointments designed to target their area of need, and get their questions answered by the experts. After the conference, the VBF family of faculty, staff, and volunteers drew the winner of the Disney vacation package. Our sincere congratulations to VBF patient Erin Roddy, who won the raffle for a 3-night, 4-day Magic Your Way® Disney Vacation Package for four. We appreciate all those who contributed to our mission by participating in the raffle and donating to VBF. 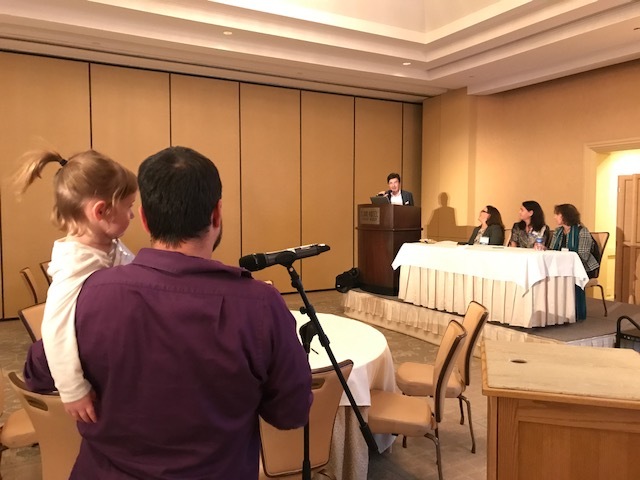 Along with the conference Co-Directors, Dr. Linda gratefully acknowledges the doctors who donated their time and expertise as speakers and clinicians at the Conference including Francine Blei, MD, MBA; Anne Comi, MD; David Darrow, DDS, MD; Kamiab Delfanian, MD, MPH; Carrol Fenn, DDS; Leslie Garson, MD, MIHM; Anna L. Pinto, MD; Robert J. Rosen, MD; Linda Rozell-Shannon, PhD; Benjamin Talei, MD; and Milton Waner, MD, BCH, FCS (SA). In addition, Dr. Linda thanks those who donated their time for the special sessions including Andrea F. Giancarli, CPC; Carla Mannix; Kimberly Heintzman, and Leslie Graff, MS, CCLS. Through the generous financial support of the host organizations and our dedicated sponsors Dr. J. Stuart Nelson, Dr. Anton Hasso, Beckman Laser Institute, Inc., Cutera, Cynosure, Syneron-Candela, UCI Health, The Williamson Family, Terumo Systems, Dr. Paula & Mr. Bay Miltenberger, and Pierre Fabre, all attendees received complimentary admission to the faculty lectures, clinical appointments, special sessions/support groups – as well as free meals and one night of free lodging at the beautiful Island Hotel in Newport Beach. VBF remains the only organization known to provide such a comprehensive slate of free services to patients with vascular birthmarks. VBF expresses its sincere appreciation to Dr. Nelson, Medical Director of the Beckman Laser Institute and Co-Medical Director of the VBF, for hosting the 2017 conference and serving as its primary sponsor. Most of all, we wish to thank the patients and families who attend our conferences. Your enthusiasm, comradery and support make it all worthwhile!